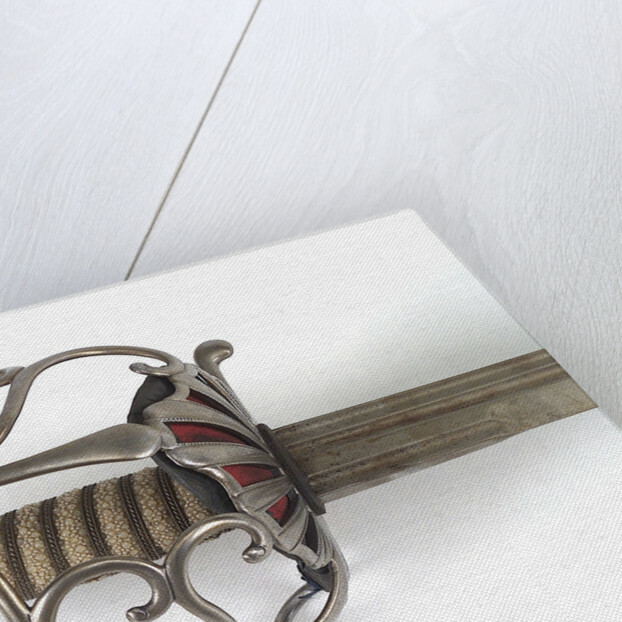 British Army Horseguards sword supposedly surrendered to Nelson. 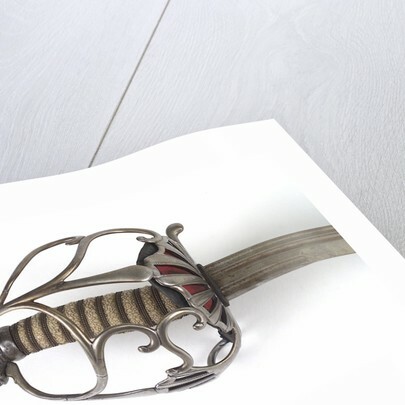 The hilt consists of an iron/steel guard of open basket type, the basket being formed by bars joining the knuckle bow and pierced shell, lined with a piece of red cloth, backed with leather and bound round the edges with blue woven material, cut to fit the shell; the side piece of the guard is screwed into the side of the pommel. 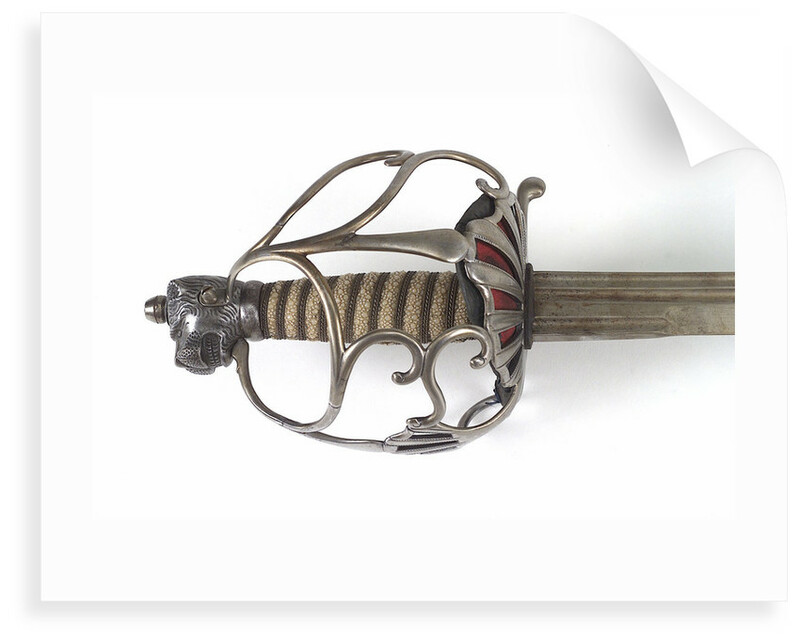 This sword was surrendered to Nelson during the Battle of St. Vincent by a Spanish officer aboard the 'San Josef'.